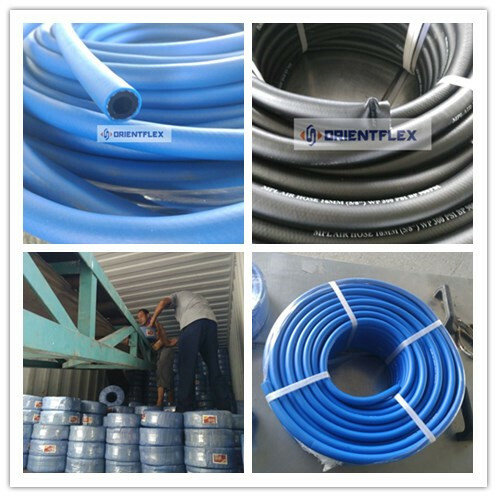 The Application of our rubber air hose is: Oil mist resistant air hose for versatile general industries and construction sites not suitable for transfer of petroleum products. Tueb: Black, smooth, synthetic rubber oil mist resistant. Cover: Yello (Red/blue/black). smooth, synthetic rubber. Weathering and ozone resistant. 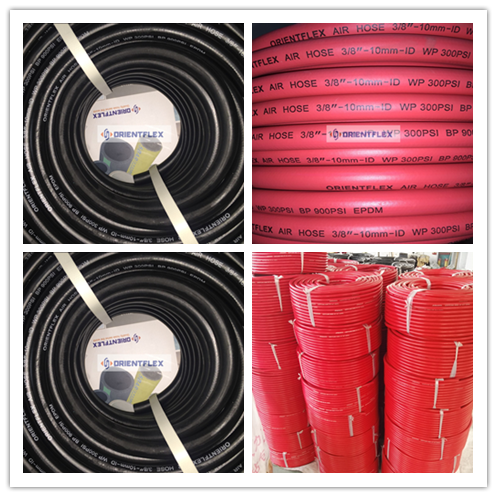 Our rubber & pvc air hose is made of quality synthetic material of PVC and Rubber and Polyester fiber. Light in weight, more flexible, elastic and easy to move. Good durability, smooth inner and outer, no twist under the low environment. The ideal necessity for air pumps and air compressors. Anti- UV, anti-abrasion, anti chemical.